Nicholas' one-piece is so chic, it could easily double as a bodysuit with jeans or a skirt. 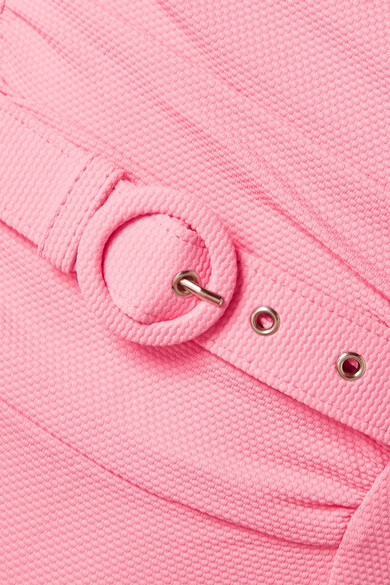 Made from baby-pink stretch-piqué, it has a detachable belt that creates a cool cutout along the scooped back, and a ruched panel at the front. The square neckline highlights your décolletage, while the high-cut legs create the illusion of a longer frame. Wear it with: Illesteva Sunglasses, Loren Stewart Necklace.